Marketing has evolved immensely with the dawn of 21st century. In a present scenario it's not just about increasing your immediate sale. Every company is getting smarter, getting wiser. Every player in the market is looking for a long term game plan. In the 21st century, it's all about being remembered. Brand recall is the new trade in town. With an extensive number of players in the market, with similar products and similar benefits, every brand is striving to stand out based on a typical USP, trying to reel in the consumers to relate, trying to connect. Starting from your name, logo, message and tagline, to the tone, design, templates, color scheme, packaging, advertisement and credibility, all these needs to lead your consumers a single goal, your USP. This is essentially how a single sight of your product will instantly help your buyers to connect with the emotion your brand stands for. Take a dive into the diverse content base of Nonstop Corporation to get ideas for your crisply efficient promotional and brand solution videos. Firstly, carefully analyze your product and flesh out your target audience. Then select on your choice of media and then finally, decide upon the emotion and intellect you would like your company to stand for. Now once you have laid down the very basic foundation of your needs, you may move on to the brand establishment phase. Now carefully embed your video with all the dots, or plot points, that when linked, together narrates the story of your choice. Your primary brand value adder is your logo. Design the logo with a design and color scheme that compliments your message and its tone perfectly, then let your promotional videos carry it out throughout the runtime, hammering your viewer's subconscious at all time with the subtext message it carries. Portray in your video the integration of your message through every aspect of your business including your packaging, customer services, and salesmanship and contact options. 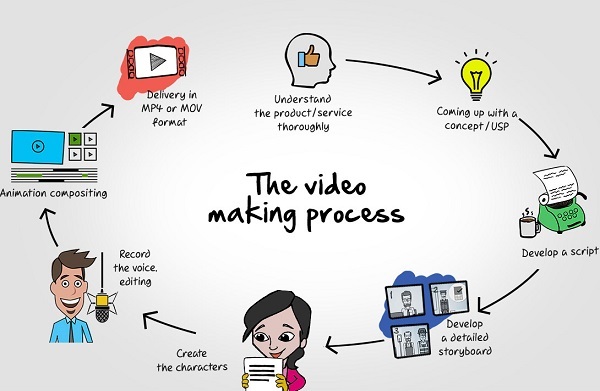 Further, add a storyline to your promotional video, a storyline rightly attuned with the core ideology of your brand. Tagline is you’re yet another critical branding weapon. Like logo serves as your pivotal visual recall, tagline will render you with your basic auditory recall. Craftily placing your tagline in your video, with the apt word choice and narration tone, you will manage to trigger the designated areas in your consumer's psyche. Designing and the template of your video, including the type of color grading, visual effects, BG music and editorial cuts, your promotional video will have gained an approach that will seem to be customized perfectly as per your branding needs. And lastly, your video will conclude on the note of authentication that will attach your brand with the credibility of conformity. Adding trust values to your brand. With visuals triggering the sense of assurance on promise delivery, and with a repeated consistency, your promotional video will have served the purpose you hope to. Nonstop Corporation has an experience of over years, with expert professionals and success in the most complicated of projects. Old and New, all alike! 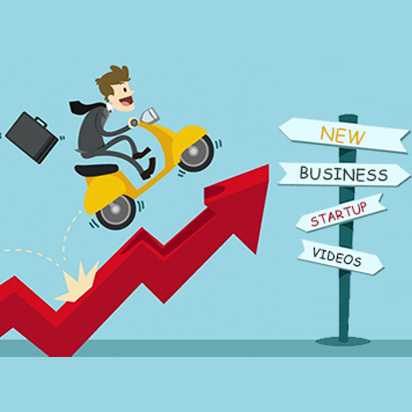 We provide services for both startups and professionals with equal dedication and passion. Our designing team is finely co-operative and patient to carve out the right customization set for your end product. Latest and trending end results at the most handsome price listing. Promotional and branding solution videos for various line of professions, like sports, hospitality, social media, the glamour world, the entertainment world, medicine, science, and so on. A spotless record of 100% genuine and original work. We never fail on deadline. Your urgency is our priority. Hence, without further thoughts indulge into the intrigue of Nonstop Corporation and modify your promotional and branding videos beyond the average market standard.